The Hawks rookie combines Curry's shooting range with Steve Nash's passing, but is he being thrown too much too soon? OAKLAND, Calif. -- Because of his size and appearance, combined with an ability and confidence to shoot from anywhere inside half-court, Hawks rookie Trae Young, a simmering maelstrom of unique skill packed into a 6-foot-2, 180-pound frame, drew immediate comparisons to Warriors superstar Stephen Curry. Over the past five years, Curry has revolutionized not only the NBA, but also how kids grow up playing the game. "Young players are watching Steph," Warriors coach Steve Kerr said. "Steph's 30 now, so 10 years into the league, there's a lot of young guys coming into the league who spent their high school years watching Steph blossom. So he's impacted a whole generation of players, and continues to. It's pretty remarkable when you think about the impact he's had on the game already." Indeed it's impossible to not see Curry when you watch Young dribbling around the court, waiting for the slightest bit of daylight to launch from 30 feet or using craft and honed skill to finish over human redwoods in the lane. Watch how he unabashedly swishes a deep 3 in the first clip, then leverages his shot and uses a very Curry-esque handle to get to the rim and finish in the second. But, according to Hawks coach Lloyd Pierce, the Curry comparison only goes so far. 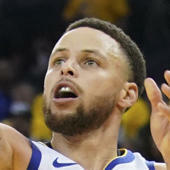 Just as Curry took elements of Steve Nash's game and turbo-boosted things to the next level by adding an unguardable pull-up 3-pointer with unlimited range, Young has combined aspects of Curry's game with his own, unique skill -- elite passing. Young is already sixth in the NBA at 8.0 assists per game, and he's not exactly passing to Dominique Wilkins and Pete Maravich on a struggling Hawks team. Young's assist percentage of 41.8 leads the league for players who have logged more than 30 minutes per game. By contrast, Curry averaged 5.9 assists as a rookie, with an assist percentage of 24.6. "I think they're different players, honestly," Pierce said. "When Steph came out of Davidson, he was, and still is, one of the best catch-and-shoot, off-the-ball players that we've seen. It's different. Trae comes in as the leader in the nation last year in assists, and a lot of his 3s were off the dribble, which is different for a college player.
" ... One of the things Steph had to learn and grow into was a guy that plays with the basketball, and one of the things Trae has to grow into is to play without it." Pierce's story checks out, as 29 percent of Curry's shots as a rookie came in catch-and-shoot scenarios, according to Synergy Sports Tech (he averaged a brilliant 1.353 points per possession on those shots, putting him in the 98th percentile in the league). Young, on the other hand, has taken only 14 percent of his shots as catch-and-shoots, and is in the 67th percentile (which is still very good, but not other-worldly like Curry). Young is taking many of his 3-pointers off the dribble, something Curry didn't start out doing as much, but has perfected over the years. Young has struggled, making only 26 percent of his 3-pointers to start his career, including only 19 percent over his last five games. Bottom line is that Young is shooting like Steph -- he's just not making them like Steph. Another big difference, and perhaps the most important one, is the amount of responsibility Young carries for a young Atlanta team. Rather than starting veteran Jeremy Lin, the Hawks chose to throw Young directly to the wolves, giving him the keys to the offense as a 20-year-old. It's resulted in a usage rate of 27.0 thus far, tops among rookies and 29th in the league. Curry's usage rate as a rookie was 21.8, and he didn't get past 27.0 until his fifth season, in which he made his first All-Star appearance. Is it too much to expect Young to produce efficiently while shouldering so much of the offense at such a young age? "It's very hard, but that's what he signed up for, that's what we drafted him for, that's what everybody is behind him to do," said Hawks forward Taurean Prince. "So it's up to us to continue to get him prepared and ready for those moments. He's done a great job so far, and we expect him to continue to do that and continue to lead us." It seems a lot of pressure to put on a kid who was taking college classes this time last year, but Pierce doesn't see it that way. He says that this is how Young played in his one season at Oklahoma (a whopping 37.1 percent usage rate), so he doesn't think it's overwhelming for his prized rookie. "I don't think it's pressure," Pierce said. "Like I said, he's used to playing with the ball in his hands, and he did that for 37, 36 minutes at Oklahoma, so I don't think that's pressure, when you're doing what you've always done. "Obviously, it's the NBA -- the games are coming [at you] a lot quicker. We need him to play that way because of what he does, because of what he's capable of doing as a facilitator. But I don't think it's pressure. I think he's comfortable in his own skin. I think he's comfortable with his skill set, and the ability to create his own shot and shots for others is what he's always done." Did Curry need those initial years of playing off the ball and bearing less offensive responsibility to hone his game and set himself up for the revolutionary explosion he dropped on the NBA during his first MVP season of 2014-15? Would Young benefit from a year of playing 20 minutes per game instead of the 30 he's playing now, much like Aaron Rodgers and Tom Brady benefited from watching from the sideline before becoming two of the best the NFL has ever seen? We'll never know, because it's simply not an option for Young. He's come into the league at the perfect time for the player of his skill set -- the league is playing at a faster pace than it has in 20 years and is launching 3-pointers at a historic rate. Rule changes have eliminated the ability for defenses to manhandle players of Young's slight frame into submission. The Hawks traded the rights to Luka Doncic, arguably the most NBA-ready prospect in the draft, to get Young -- so they understandably want to see what they have. It makes you wonder whether Curry's growth would have been stunted or accelerated had he played the way he does now from Day One. We'll never know, but we can watch Young's development closely. We'll see if he can eventually shoot with Curry's proficiency from deep, and combine that with the elite passing he's already displayed. If he can -- and it's a big if -- we could be sitting here in 10 years talking about how a new, young point guard is the perfect evolution of Trae Young. "Really just stay focused on the team every day," Young said, when asked how he handles the responsibility and expectations thrown at him. "Continue to do the same thing I've been doing, and it'll all work out."